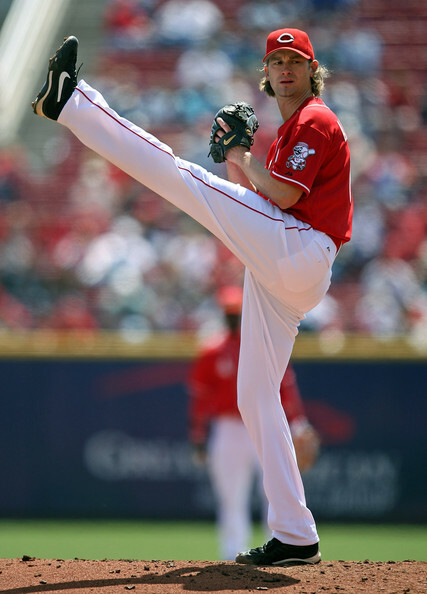 How much will Bronson Arroyo make next year? D. Nothing, the Reds pay him in hot dogs. The answer... C. $11 million. The same amount that will be paid to 12 construction workers in overtime next year to f*ck up traffic on 128. But seriously, Bronson Arroyo will make $11 million, which will put him on a near 'ace' pay scale. You all remember him, right? The same guy who was a back end of the rotation guy in Boston at best. To his credit, he's been decent to mediocre, albeit against weak opponents in the NL Central. The American dollar must be worth less in Cincinnati. Bronson: "I'd like $5 million, please. And I'm not budging." Reds: "We're prepared to give you $11mil." Bronson: "Wow, really? I'll take it. Where do I sign?" Reds: "But you have to promise to never make that god awful music that you make. ever. no guitars in the clubhouse. If I even hear you humming a song in the hallway, you're gone, bub."